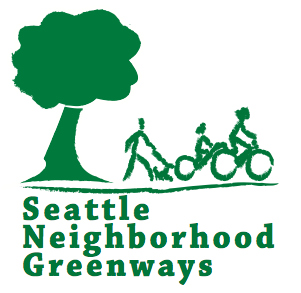 As part of its focus on safer streets, Queen Anne Greenways has wanted to explore some of the different ways in which streets can be used in addition to their basic function of moving traffic. Schaun Valdovinos suggested at one of our meetings that it might be interesting to try a kids Play Street in conjunction with one of the already popular Thursday Queen Anne Farmers’ Market days. Heather Trim and Michael Herschensohn wrote up a convincing proposal to the City of Seattle’s Department of Neighborhoods and succeeded in getting a $1,000 grant to help defray the expenses of pulling all the parts together. We were on our way. Working with Brittany Ryan, manager of the Market, Schaun and Juliette Delfs selected Thursday the 28th of July to try it out, and agreed to coordinate the closure of a couple of blocks of 1st Avenue West adjacent to the end of the Market and McClure Middle School and the Queen Anne Community Center. Mark Ostrow and Juliette organized a publicity handout that was distributed on the hill to drum up support. Mark Spitzer arranged for a banner version to go up at the market a week ahead of time to help create some awareness of the upcoming fun. Jody Lemke arranged with Gina Saxby at the Queen Anne Community Center to borrow chairs, tables, and a whole variety of kids toys from their collection. Michael Herschensohn added a loan of LEGO large-size blocks through Putter Bert at KidsQuest Children’s Museum in Factoria. 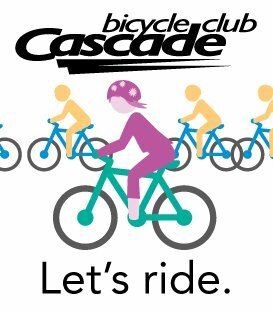 On the 28th we closed 1st West from West Howe to the McClure parking lot. On this warm day things started slowly as we got set up in anticipation of the arrival of families and kids later in the afternoon (view looking north from our booth toward the market). We relocated the Queen Anne Pool ADA parking to a part of 1st West just off West Howe. To give us a good overview of all the happenings, we set up our booth in a central location that was also convenient to the market picnic area. Heather Trim (seated) provided folks with a blueberry snack (six varieties from market vendors) and answered questions about the Playstreet and Queen Anne Greenways’ activities in general. Here she’s chatting with Laurie Ames from the Seattle Department of Neighborhoods, who supported the playstreet and has been a helpful contact within the DON. Below, Heather explains the ins and outs of selecting blueberries to some new customers. Heather also exhibited and explained a layout of the ‘Crown of the Hill’ project for public walking safety that the Greenway group is promoting. The 3+ mile loop follows the crest of the hill, includes some regular streets, some historic boulevard and some undesignated areas. It’s a popular walking and jogging route that is used by tour buses to show off views of downtown and the Olympic Mountains, and each July becomes the route of the Queen Anne Helpline Fun Run. While we were getting our booth in gear, the Nyamuziwa Marimba Ensemble – http://www.nyamuziwa.com/ – was setting up for a couple of hours of high-energy traditional music from Zimbabwe. The music worked really well to ‘hold’ the space and activities together; and we have to thank Steve Golovnin (below left) and his musicians for setting a great tone for our playstreet afternoon. Some of the audience took advantage of the shade trees to take in the show. Once we had moved the play equipment into place from the Community Center and families started to arrive, the action in the street picked up. One of the most popular areas was the small car / scooter area in front of the QA Pool. The rules, such as they were, tended towards the informal. We put out the cars and arranged a few cones; and then the drivers took over. We were able to have a bit of something for everyone, even those kids that weren’t so little – or who liked the feeling of being giants with a kids basketball net. We were impressed that in addition to the usual towers and cantilevers, a fairly large building got constructed. Now if you could just mount that winged sculpture on the left on top of the building you’d really have something. Interestingly, there was as much interest in the really large blocks as there was in the small LEGOs – something about the full body experience we think. It would have been fun to have more of these blocks to expand the territory. For more intense action – up near the band – there was Foosball, first one-on-one with a young man taking on his dad. and finally, once the adults were out of the way, group collaboration – sort of. Scott Cooper of Blue Highways Games brought over a couple different testers for the kids (and some parents) to try out. One combined throwing skills with math strategy. Knocking down the numbered blocks was the easy part. The trick was that you could score the points numbered on the blocks only if you knocked them down one at a time – not so easy. For the other game, Scott got right in at the table with the kids, a nice example of how things work at his store on QA Avenue. Brittany, our QA Farmers Market contact also stayed in the mix and helped us to keep things running smoothly by touching base with Schaun periodically during the afternoon. Our own Greenways group members also checked in as things developed so we could tune our efforts as we went along. Jody and Andrew discuss a couple of options. and quieter conversation – and knitting ! We were impressed. Even the Queen Anne Greenways stalwarts took a break. Is that a yawn ? All in all a fun day – and for a first time experiment, a success !